Join a ski lease membership with access to TWO cabins: one on the North Shore and a second cabin on the South Shore of Lake Tahoe! CABIN 1 – NORTH TAHOE: 6 bedroom, hot tub, 10 car parking! CABIN 2 – SOUTH TAHOE: Slopes of Heavenly Ski-in/out cabin; only 20 feet from ski lift! Get a ski lease to two Cabins for one price: South and North Shore. You will get full access to both ski cabins for 5 months (December 1, 2018 – April 30, 2019). Cabins include private/group rooms, snow plow service, internet and cable, heating, hot tubs, and more! For those of you who have never participated in a Community Ski Cabin, you can think of it as your own place in Tahoe that you can go to any time you want, bring a friend, enjoy a relaxing weekend, meet some other people, go out on the town. We have two, count ’em TWO, ski cabins available for membership lease: One on the South Shore and another on the North Shore. Each year, we open up our ski cabin membership to ten guys and ten girls. Those who take advantage of this fantastic membership get full access to both ski cabins for five months with 24/7 Access! Both Cabins: Both cabins include private and group rooms, snow plow service, cable and internet, gas, heating, a semi-monthly maid service, hot tubs, cabin managers, and fun events to fill your days with! Urban Diversions: The cabins are run by Urban Diversions, San Francisco’s premier outdoor adventure and social activities club. You do not need to become a UD member to join the ski lease. What to Expect: For those of you who have never participated in a Community Ski Cabin, you can think of it as your own place in Tahoe that you can go to any time you want, bring a friend, enjoy a relaxing weekend, meet some other people, go out on the town. We’re young at heart, but not party animals. We are 20s, 30s & a few 40s. You can get a good nights rest before hitting the slopes. That being said, we hit the hot tub after getting back to the house and often make group dinners and go out to see bands and other entertainment in Tahoe. North shore cabin tends to be more about skiing/boarding, south shore cabin tends to be more being social and having fun. All of the cabin members have to be approved by the other cabin members or UD staff before they can join the ski cabin. If you are not approved, your payment (less 3.5% for credit card fees) will be refunded. Occupancy Beds for 26 In North Shore, and 12 in South Shore. You don’t have to worry about the cabins being full! $25/nt on nights Mon/Tues/Wed/Thur Any guest who has been at the cabin more than 8 nights total in the year, will need to join the membership or pay $60/nt. If you wish to bring more than 1 guest, you must simply email the group close to the date to see if room will be available. XMAS & NYE ARE SPECIAL! – our cabins typically rent out for $3000 each for each week for us to rent out!! That is over $10k for the ski cabins for those holidays alone! And you get it free!! XMAS: Dec 22-26th, South Shore cabin will have an open Xmas-party for all ski cabin members! Chip in for potluck food! Due to space, your guests must pay $195 to stay in the cabin , even if just for one day! (someone has to pay for the party). The other cabin will be closed for a Private Party. NYE: Dec 27-Jan 2, once again North Shore cabin will have a FREE NYE- PARTY FOR ALL CABIN MEMBERS! Well, you must chip in $35 for potluck food! Due to space your guests will have to pay $195, even if just for 1 day! The other cabin will be closed for a Private Party. Special Urban Diversion Activity Dates 1 weekend per month – Social Directors will be organizing special activities at one of the cabins (never both). These are anything from beginner boarding lessons, to hitting specific slopes, or even snow shoeing and cross country skiing! This is FREE for all cabin members. Up to 6 Regular Urban Diversion members are invited via the UD calendar to join this event. This helps keep down costs for the season, and insures at least one organized fun weekend per month you can join in. Before you can go up Unless you are dis-approved for membership, you will need to get us a check for security deposit and you must also send in a signed copy of the release of liability form prior to going to the cabin. Refunds: All registration is final. No refunds. Register at Urban Diversion to secure your spot. For in depth details and to view photos of the cabins, please visit the Urban Diversion Ski Membership website at or call (415) 776-7455 and say you were referred by Snowpals. Call our SF office at 888-606-2380 and/or stop by for a personal chat. We’ll arrange to meet to see if the cabin is a right fit for you & you for us. *If within the 3 weeks you are disapproved or decide to back-out and we’ll refund all your money except 3.5% for credit card fees. *You can of course call and conduct your screening first. Unlike some ski cabin groups, we do not overcrowd our ski cabin, under normal circumstances members are guaranteed to have a bed. (guests are not guaranteed to have a regular bed and may end up on a sofa or sleeping bag; Members always have squatters rights over guests). One of the best features about the UD Ski Cabin is that Cabin Managers host activities throughout the ski season that makes being a cabin member even more rewarding. We may host ski/snowboarding weekends or Casino outings to Reno, games nights, or snow shoeing instructions. As a Ski Cabin member you are only responsible for special costs such as dinners or ski rentals!! Here’s a full breakdown of the two cabins. We might get new cabins for this year, but these are the cabins we had last year. Tahoe City cabin. 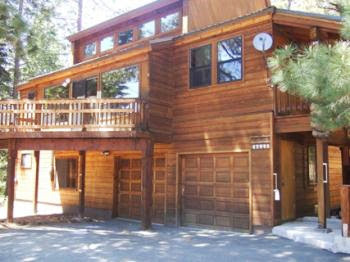 20 min to Squaw Alpine, Tahoe Donner, private hot tub, 3 floors, very social cabin, 20 min to North Star, 10 car parking! 3000+ Sq ft! Heavenly ski in/out cabin, Stagecoach our our front door! communal hot tub/pool, late night shuttle to our door, plenty of parking. For more the latest updates, photos and to inquire about membership, visit Urban Diversion.